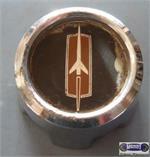 1592a-R, USED REAR CENTER CAP, '88-'92, FORD, EXPLORER, RANGER, CHROME, BLACK BACKGROUND, CHROME LOGO. 5-7/8" DIA. 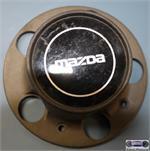 1592a-R, USED REAR CENTER CAP, '88-'92, FORD, EXPLORER, RANGER, CHROME, BLACK BACKGROUND & CHROME LOGO, 5-7/8" DIA. FOR A 14" RIM, ALSO MAY FIT: 1291, 3071, 3074, RIM . 1622g, CENTER CAP USED, 88-00, CHEVY, GMC, CHROME PLASTIC CAP, 6 LUG NUT HOLES, BLACK BACKGROUND, CHROME OUTLINED RED 4X4, BOLT ON, 7-1/4" DIA. 312, HUBCAP USED, 13", 67-68, DODGE, DART, 7-SPACE TYPE, 7 BLACK PAINTED POCKETS ON OUTER EDGE, BLACK RING AND BACKGROUND, CHROME LOGO, METAL CLIPS. 3150a/3083a, HUBCAP CENTER USED, 15", 81, CHEVY, CAPRICE, IMPALA, CHROME OUTER RING, BLACK BACKGROUND, CHROME WORD LANDAU, 2 METAL CLIPS, 2-1/4" DIA. 3150a/3083a, HUBCAP CENTER USED, 15", 81, CHEVY, CAPRICE, IMPALA, CHROME OUTER RING, BLACK BACKGROUND, CHROME WORD LANDAU, 2 METAL CLIPS, 2-1/4" DIA. ALSO FITS 3083 & 3124 HUBCAP. ORDER UNDER 3083a HUBCAP CENTER.